As a Named Account Manager, Kyle aims to live out his mission of service through a dedicated focus on each customer’s experience. Known for his “outside-of-the-box” approach to finding solutions, Kyle doesn’t let the status quo stand in the way of service. 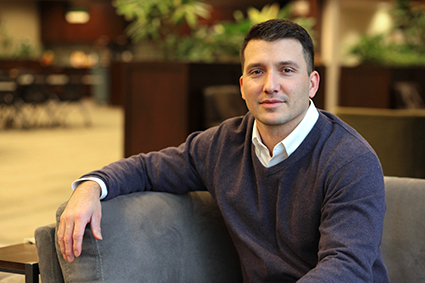 During his tenure with Continuant, Kyle has served both as an Account Executive and Manager of Government Solutions before moving into his current account management position. Kyle grew up in Yakima, Washington, before relocating to the Tacoma area to finish his education at the University of Washington’s Tacoma campus, where he earned his B.A. in Liberal Arts. A passionate UW sports fanatic, Kyle, along with his wife and their three children are frequently found rooting on the UW Huskies at numerous sporting events throughout the year.